Social media can be an effective and very serious tool of promotion for business owners. Here are some ideas to amplify the reach of your online meeting or event. The organization of an online event can be greatly facilitated by an intelligent use of the internet and the different tools that can be found online. For example, ClickMeeting gives you a customizable web conferencing software, with different features that you can use to organize a successful online event (I particularly like the useful translation option which makes this tool particularly suggested for international meetings). Other than the right tools, social media can be a great opportunity for promotion that can not be neglected. Twitter, Facebook, Google+, Instagram and the many other social networks available are channels that can contribute to the success of your online event. In support of “standard” communication channels (media, mailing lists, specific journals, corporate website, etc. 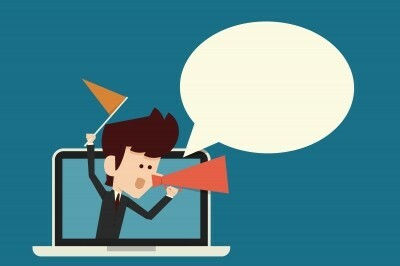 ), social media can be used as a megaphone for every moment of the event, from the stage which precedes it, with the distribution of content and technical or logistical information, such as the presentation of the topics to the introduction of the speakers or sponsors, the registration procedures or the description of any other initiatives. Be sure to continue the work even after the event, in order to gather feedback from the participants, giving a sense of continuity, publishing on your website or blog the reflections, curiosities or anecdotes, so as to invite users to leave comments, tips or tales. Encouraging individual stories mean broadening the interest of your online meeting. Twitter offers several solutions for sharing the word about an online event (or your business). It’s one of the most effective social media channels, thanks to features like hashtags, that allow you to find, remember and search any topic (included your event) easily. Hashtag is a convention introduced by users to “classify” better a tweet, to add before your keywords (eg, your #eventname). Simply use the hashtag in all the tweets related to your event and encourage your participants to do the same, so as to be followed by as many people as possible. On the other hand, you can suggest your audience to simply ReTweet your messages to reach their network of contacts, expanding the number of people you reach. Don’t forget the power of Twitter Cards (an exhaustive article here). They basically give super power to your tweets. Or the Twitter Chat, which is another great method to promote your event and increase your audience. Facebook is the most suited social media for the launch of an online meeting, given its popularity and particular features, such as “pages” or “events”, one of the most powerful tools of the platform. With its attractive power, you can easily retrieve users before, during and after the event, in order to continue the communication about the topics covered, thus creating a community of fans. Generally it is best to create a page before the online event, following the Facebook instructions and specifications. This is particularly useful and effective if it is an initiative that is repeated over time, because it allows you to gather a group of friends who are united by the same interests. Another popular tool offered by Facebook is the ‘like’ button, to add to your website for the promotion of your event and for inviting visitors to read and participate. But it’s great also to reach people outside of your circles, expanding in this way the possibility of contacting other users. The social network of Big G is particularly suited for promoting an online event. Use the “communities” feature to gather users sharing the same interests. You can even create your own group, with relation to your topics. Or the “hangouts”, which is a free, but powerful way to create a video conversation with your audience. Same as Facebook, also on Google+ you can create pages, to gather users sharing the same interests, also to promote your online meeting. The use of the media is very effective for promotion: publishing photos is sometimes more direct than using many words. Even videos are very indicated: you can create quick interviews with the protagonists of the day, with speakers, sponsors and also with the public both before and during the event. Do not forget to upload pictures on Flickr and other photo sharing sites, taking care to give to each image a specific name, an accurate description and inserting appropriate tags to share with as many people as possible. Other than the above mentioned ones, there are many other social media sites you can use to promote your meeting or business. Are you targeting a local area? Use Foursquare. Do you want to show off the pictures of your event? Use Instagram. Do you need to promote the video recorded? Use YouTube. Internet has become a powerful channel to promote your business, whether it’s your online meeting or your product and service. Online marketing covers a wide range of methods to promote your business. Social media is just a small part of it because the marketing opportunities online are endless! Are you using these social media tips? Do you have something else to add? Please share your knowledge in the comments below, thanks! I liked the suggestions in your post, thanks for the share! Social media is great to promote your business. glad you enjoyed the information in this post. Great post.I really like all points like as Othe channel, Google+, Facebook. Wonderful ideas for social media. Thank you for putting this together. I will share this with my friends. You really mention all the social media platforms. Indeed, if we can take advantage of this platforms well, our online meetings or our business will be more easily accessible and growing. Thanks for sharing this with us, Erik. Have a nice day for you! Social media is a powerful marketing weapon. I use it everyday. Thanks for commenting and for sharing. I like the way you explained how to promote an online meeting via social media. Very useful. Thanks for sharing. Awesome tutorial on how to promote an online meeting with social media. There are many webmasters who share this kind of tutorial but don’t share in a good manner. They make things complicated. I love your style how you shared everything in a good manner. Thanks so much share this great post. I never had the opportunity to have an online meeting yet … but that’s going to change in the future as I’m starting to become more active again online and getting involved in video and possibly podcasts again. Regarding this post though, it seems that Facebook along with G+ would be one of the best options for promoting an online meeting. Or any big webinars, etc. But realistically, if you have a meeting, you should try and use any method to promote it to get the most eyes on it. Podcasting is trendy, right now. Trough social media we can promote many things online. As you said, it’s just one of the many ways to market an online meeting! Great tips Erik! I never thought of promoting online meeting through twitter. You also shared some amazing methods of promoting online meeting through various social media networks. we can use social media to market many things, right? I guess it’s a matter of imagination and creativity. Thanks for taking the time to read and comment here today. What can’t we do online nowadays? Because of the online world we have so many different ways to promote whatever we want to promote. Event, meeting, product, etc. So many tools and ways. Thanks for sharing this, even if I don’t have a meeting or event to share, it’s still great reminder. Trough social media we can promote many things, include our business, product, service or an online meeting, as mentioned in this post. As usual your posts are always awesome and so simple to digest. Using Social media for online meeting is the trend today. So I love the points that you raise about social media and how they can be used to promote an online meeting. Thanks for sharing. Social media is a great marketing weapon! In a world where we now communicate and collaborate mainly via the Internet, it’s important to have the right tool available, like for example, Google+ Hangouts. It’s very useful and another network that supports video chatting and with a group. Marketers use this tool for meetings. Most of my friends online recommends this. Using the correct tools is very important! Is lets us save time and efforts. Promoting an online meeting is always a great idea. It can help facilitate engagement and social connections. The use of social media platforms like Google Plus, Facebook and Twitter is not surprising. After all, these are all avenues to promote social engagements and events. It sure would be easier to promote an online meeting if the individual or business understands what he is doing. I think, one way of making online meeting work via social media is to ,first of all, pursue a highly engaging social audience. I have shared this comment in kingged.com where this post was “kingged”. Social media can be really effective for promoting yourself or your content. Appreciate you sharing your views here. Now a days everything is on internet , many people use smartphones and internet on their phones, Internet has become most useful way of communication. I like to use Google+ hangouts app for group communication, I like skype as well to do audio chat with multiple peoples. you mentioned a great tool, Skype. I use it often too. It’s free, and the chat feature is awesome. Now a days everything is on internet , many people use smartphones and internet on their phones, Internet has become most useful way of communication. Thanks for visiting and commenting, Zara. I’m second time visit your blog really glad. I liked the suggestions in your post and social media is very important for all like me. At this time there are four famous social networking like as Google+, Facebook, twitter and LinkedIn. I love your way how to present this. glad you liked the content of my blog. Great post as usual.. Social Media is undoubtedly a great marketing tool, you have shared some easy yet effective tips to promote online meeting. Great tips on promoting your online meeting here! Thanks for sharing your knowledge here! thanks for adding your suggestions. Facebook groups are another great way to promote something, included online meetings. That’s super cool post once again from you. I wondered how you will get all this ideas about the post and tools for that. That is very impressive. I haven’t heard about Twitter chart ,click meeting tool .. let me try it out and see the results. Hash tags : are a great way to increase the overall social media traffic. I believe that it will provide great values to expand our reach in particular indicating the #hash tag for key word or phrase. And also I’ve seen some decent results by using the hashtag when we share the content in social media. Glad you appreciated my post, thanks for leaving your views. Talk to you soon, Siva. Its an awesome article Erik! But if you personally ask me then i must say that Twitter is best among all for this purpose. It can grab you a lot more audience then expected. Twitter is my favorite one too! Thanks for this and other great posts. I love twitter chats and they are an amazing source to get to know many new faces and also showcase your skills to an audience beyond yours. (we can also use it for limited and known audiences though). I would also say facebook groups are awesome along with the events feature. I love Twitter chats too. That’s a great way to boost your authority and increase your audience. As per Facebook groups, I use to participate a lot more time ago, now I find low engagement. I guess it’s a matter of finding the right ones to get in.